The instrumental Polish trio Immortal Onion have given a zarathustrian gift to the world of music with Ocelot of Salvation by bringing wild – even fevered – musical ideas from the periphery to a very listenable central place with burning feel and immense musicality. Hearkening to the concatenated aesthetic of Nature, the music of Immortal Onion moves through transformations that might as well be a discourse between Heraclitus and Parmenides – a fascinating riddle of the crystalline and the fiery. In spite of it’s depth and complication, Ocelot of Salvation is presented in a timbral structure that is personal, pleasant, and humble. (Somtimes funny too.) Great work, gentlemen; this is one of the best albums of its kind. In the early 2000s Genndy Tartakovsky created Samurai Jack, which aired on Cartoon Network and struck kids as being very dark and very deep compared to anything else surrounding it. Although it was full of silliness, it also accessibly exhibited strong moral lessons by pitting a pure-hearted exemplar of Bushido against corruption and decadent aspects of culture in industrial civilization. Taking a mythical tone, the series sometimes develped deeply spiritual motifs or intricate archetypal structures – often aided by changing art styles; for instance, there is an intense yin-yang duel in which darkness inexorably creeps up a tower with the setting sun, drowning the hero in a sea of darkness that hides his foe, but the light is a positive force: its last rays are reflected from the heroe’s blade, blinding the evil assassin just long enought for death blow. That’s a very cool way of positing that spirit and life has a mysterious power to triumph in spite of the decay, entropy, and overwhelming malevolence. In 2017 Tartakovsky created a fifth season of Samurai Jack that took the show to new psychological depths by developing the characters – even calling into question their entire justification for being – while retaining and calling back great memories from the original series. Without changing tone too drastically the story transformed to suit an adult audience and left us with a deep and haunting conclusion that places the story of Samurai Jack among some of the best animated works of all time. Kill or be Killed is a graphic novel that appeals and horrifies across a wide heirarchy of cognitive levels. At first glance, it is a visually dark and brooding thriller about vigilante justice. However, the story is so much more than that, especially in the context of the modern political climate; the protagonist is a lost and depressed graduate student filled with harebrained monologues and literary references and ready to pay lipservice to cultural marxist, nihilist, and postmodern thought. I initially assumed this was just the author’s leftist voice leaking through as is often the case in contemporary American comics, but deep thematic movements that appeared around the protagonist’s psyche convinced me otherwise. The protagonist is a social justice warrior, steeped in red-and-black revolutionary imagery, but uses violence as a sort of redemptive ritual to stave off his own death through what is in the story a literal demon: his self loathing, ill will, and Nietzschean ressentiment. This is a very insightful and powerful indictment of the psychological state that breeds violence across Western Civilization through groups like Antifa, especially in universities. From where does this impulse emerge? Millenials find themselves in an overcrowded social heirarchy rife with intergenerational conflict for economic niches – and have as a class found themselves outmatched in a world of depleted resources and growing political tyranny. (Likewise, in Kill or be Killed, the protagonist is friendzoned by his lifelong love, the feminine force that represents the selective aspect of nature – very Jungian.) The position of the character reminds me of the social situation of mice in precollapse stages of Calhoun’s mouse utopia experiments – it’s wretched. In the late 19th century, Dostoyevsky noted this same spirit of nihilism and ressentiment brewing in Russia’s intellectual circles, which led the creation of one of the world’s most democidal regimes. For Dostoyevsky’s Raskolnikov the acting out of his murderous tendencies did not come without a cost, but for a millenial mouse in our utopia, what other options exist? The way that question is answered may define the course of innumerable lives even within the next decade. Nintendo is a great mystery to me. I recently picked up a 2DS XL and have had a great time with a few of Nintendo’s franchise games but I’m shocked by how few other games are released for their systems! I’m a longstanding fan of the Metroid games – Samus is one of my all-time favorite characters. Metroid: Samus Returns is a fun remake of Metroid II: Return of Samus, but it has some very weak traits worthy of critical discussion. In spite of some really good technical design work, Samus Returns is unfortunately plagued by weak, self-indulgent, and even tasteless, art direction. While some areas of the world are very visually interesting and the overall theme of draining and descending through the acid swamps creates a strong feeling of depth, the overall composition lacks cohesion and harmony; lava areas are scattered in without context, the alien ruins have no sense of overall narrative (the final, deepest, supposedly most strange area looks the most human-made), and the overly dense populations of monsters (even in areas that were submerged in acid a few seconds before) ruin the feeling of a real ecology that has made the Metroid series shine. Beggining and endings are especially important to the framing of a work of art, and these are where Samus Returns is the ugliest. The introductory slideshow is so bright, sentimental, and guady that it sets the tone completely wrong for the entire mysterious adventure that characterizes Metroid. Perhaps the most aggregious fan service in the last-minute introduction of Ridley as the final boss, which makes no sense in the Metroid story and serves no purpose in the narrative of Metroid 2 – it is Ridley after all who steals the Metroid larva to begin the action of Metroid 3, Super Metroid. Nintendo focuses almost entirely on the production and maintenance of its franchesises; If they take such a hard stand about sticking to tradition, why can’t they take a hard stand to make these titles shine as true works of art – timeless heirlooms that define the medium of video games? For the last few years, indie games have had the luxury of ever-growing budgets and a wide selection of design formulae from the pioneers of the genre. Although indie games were once more fresh and unique than triple-A games (which avoid risky design decisions), they have in general become triple-I: tired and overburdened by the genre’s once-brilliant mechanics and supposedly subtle tools to teach and immerse the player. Rime is an indie game that breaks that mold and regains a feeling of wonder and mystery. The player explores a world that is tightly designed, but also has dead ends and ambiguity. This leads to an experience that gives a pleasant balance of satisfaction without feeling inauthentic like a theme park. The player can solve puzzles that abide by clear mechanics (and are therefore not frustrating), but never feels like a drone studying a video game lesson plan. This leads to a feeling of satisfaction and independence. Unfortunately, some expositional elements lacked subtlety – why were the beautiful ruins covered here and there by murals that explained the story, or even more absurdly tried explaining your current objective? The allegory of the end sequence was also a bit muddled and self indulgent on part of the design team. Even so, the story was very intriguing and emotional. I cried during the rain level. It was a great experience and provoked a lot of interesting thoughts. Thanks Tequila Works! Shin Gojira, Shin Godzilla, or Godzilla: Resurgence – the 31st installment of the Gojira franchise – surprised me with a very fresh and bizarre take on the same classic story while not only referring to the original, but casting the source material itself in a new and interesting light. Gojira (1954) expressed the terror felt by the Japanese people as an invulnerable nuclear force (the United States) reigned over their nation as it saw fit in the post war era. Similarly, Shin Gojira took a metaphorical political tone. As the radioactive monster emerges, the film focuses on government beurocracies paralyzed for hours in debate as if to imagine away the bizarre circumstances the characters can hardly seem to believe. This satire doubtless speaks to the Japanese people’s anger at thier government’s response to the Fukushima nuclear disaster of 2011 in which officials delayed for months to deal with the seemingly unsolvable problem of Reactor 4 – which may have at any time melted down to wreak unknown damage, possibly even rendering the northern hemisphere uninhabitable. The structure of the film and the inscrutability of the monster Gojira conveyed this helplessness and fear – an almost cosmic horror. Previous films in the series built on and changed the original creature design as technology improved, giving Gojira a more active, cognizant, and engaging feel. Shin Gojira however, seemed to ask the question: What if the original representation of the monster was not so clunky and unintelligent looking just because of the film technology at the time required it to be so? What if the 1954 representation was the correct representation of what the monster really was like? In doing so, a very strange monster is created: Gojira takes on an unsettlingly witless quality. Its big, glassed-over eyes stare off into the distance not just becuase the costume can’t do any better, but because that’s just the way the monster is. It’s creepy as hell. Also noteworthy is the film’s odd narrative arc and strange approach to production: both of these definitely aren’t up to modern standards and left a sort of unsatisfying feeling. This however, was great. Departure from obedience to form was bold and respectable – I’d like to see more movies willing to take risks even if that means some pretty silly campiness. Lorde’s Melodrama deftly employs a fascinating palette of timbre and rhythm that weaves a whole-album listening experience with a degree of richness that is quite rare in any genre of pop music. Thoughtful rhythmic contrast between vocal and instrumental elements, each evolving, creates remarkable aural interest without heavy reliance on hooks – it’s fresh. Thematically, Lorde goes well beyond the first-level thinking that dominates pop music – especially on the topic of codependency in relationships. 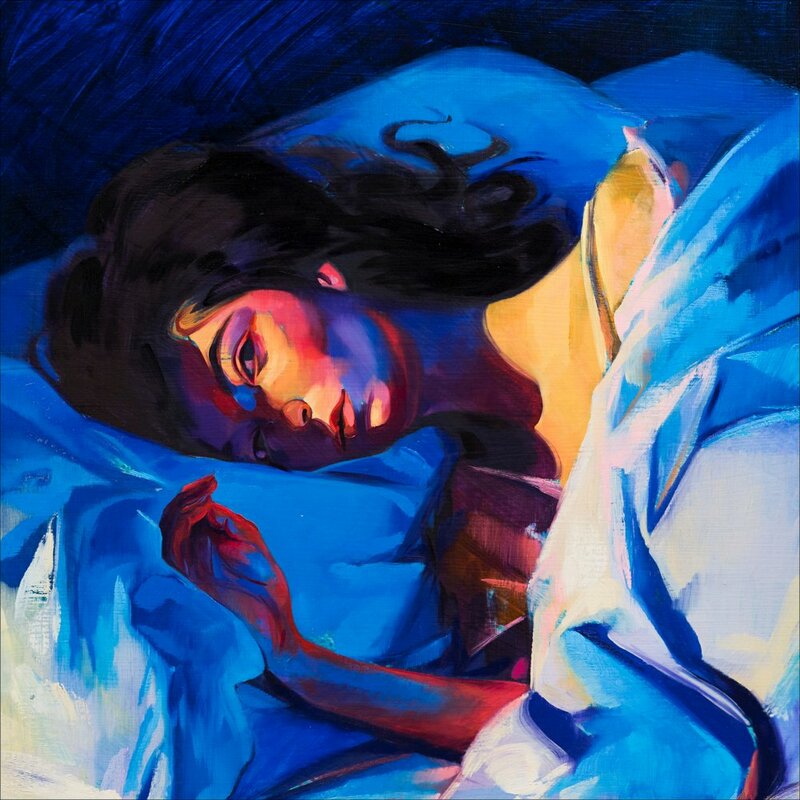 A number of contemporary hits celebrate the emotional roller coaster of unhealthy relationships in a sort of self-immolating frenzy, but (as she previously has with songs like Team on Pure Heroine) Lorde addresses these issues with a more subtle and aware attitude that is very emotionally impactful and cathartic. While the album does a achieve a whole-album listening experience, there are a few moments where the realities of the pop industry jar the listener; for instance, after the synths of Sober II fade away, the following would-be unplugged tone of the piano at the start of Writer in the Dark is baked with so much compression as to sound quite overpowering. While hits are a mainstay of pop, I question the aesthetic value or even possibility for something designed to stand completely alone without regard to external arrangement or composition; after all, doesn’t the expectation that an infinite train of disjointed stand-alone hits can serve as the energizing music of a society stem from a shallow, short-sighted worldview – an attempt to disregard the deeper natural essence of things, even concatenation? What energy is yielded from blindness and disregard? EYOT’s new album, INNATE, is understated and brilliant. The album is a journey through dark mysteries, heroic anthems, and illuminated reflection. All of this has a very powerful air of character, yet never feels like imitation or style; even the segments that might be seen as most imitative or literal are deconstructed in ways that create a captivating sound, which is very impressive for such a timbral palette. Of course the timbral palette was carefully designed to be so simple, almost as if to scoff at most musicians’ reliance on timbre to ornament their shallow forms. Nonetheless, the four musicians of EYOT approach their play very humbly in spite of their obvious skill. Their solos are grippingly interesting in form and deeply evocative in feeling, yet are never self indulgent or overbearing. Also, the music video for the opening track, Veer, is a perfect fit for the music’s mystery and illusion. It’s full of brilliant tricks. Meshuggah in part created the “breakdown bandwagon” that led to the golden age of metal in the 2000’s decade, but as nature would dictate this golden age decayed – djent and deathcore had nowhere to go, and thus imploded into disingenuous and hollow formal masturbations devoid of spirit and invention. Meshuggah was in a tight spot with their 2012 album Koloss because the rest of metal had worn out their sound. What could happen next? “Why so hard?” the kitchen coal once said to the diamond. “After all, are we not close kin?” “Why so soft?” O my brothers, thus I ask you: are you not after all my brothers? Why so soft, so pliant and yielding? Why is there so much denial, self-denial, in your hearts? So little destiny in your eyes? And if you do not want to be destinies and inexorable ones, how can you one day triumph with me? And if your hardness does not wish to flash and cut through, how can you one day create with me? For all creators are hard. And it must seem blessedness to you to impress your hand on millennia as on wax. Blessedness to write on the will of millennia as on bronze — harder than bronze, nobler than bronze. Only the noblest is altogether hard.